In 2009, The Trust for Public Land celebrated the first of three planned renovations of the eight-acre park. 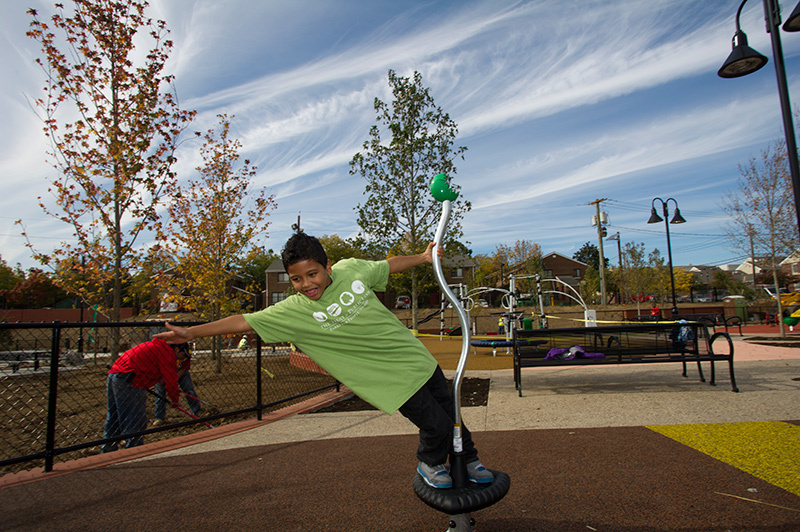 In fall of 2012, we completed the second phase of renovations that includes new lawns and landscaping, a playground and water play spray area, basketball courts, sports lighting, and a Fitness Zone® area. The New York Jets, MetLife, and The Healthcare Foundation of New Jersey partnered to provide funding for the outdoor gym. Jets players and children from the Boys and Girls Club of Newark worked side-by-side to complete the Fitness Zone, which is open to all area residents. The third phase of the project—replacing the current field with state-of-the-art synthetic turf—will begin once all funding is in place.